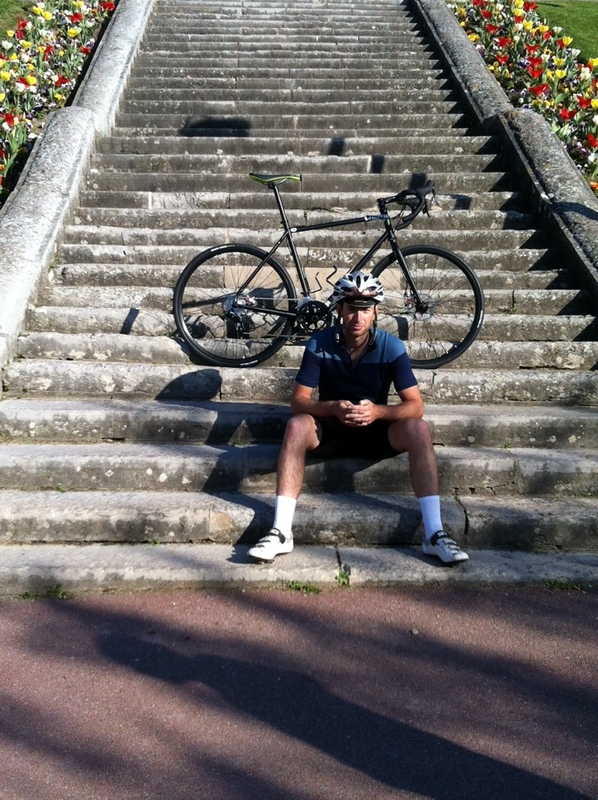 We were lucky enough to be invited down last week to sunny Somerset to meet up with the guys at Charge Bikes. 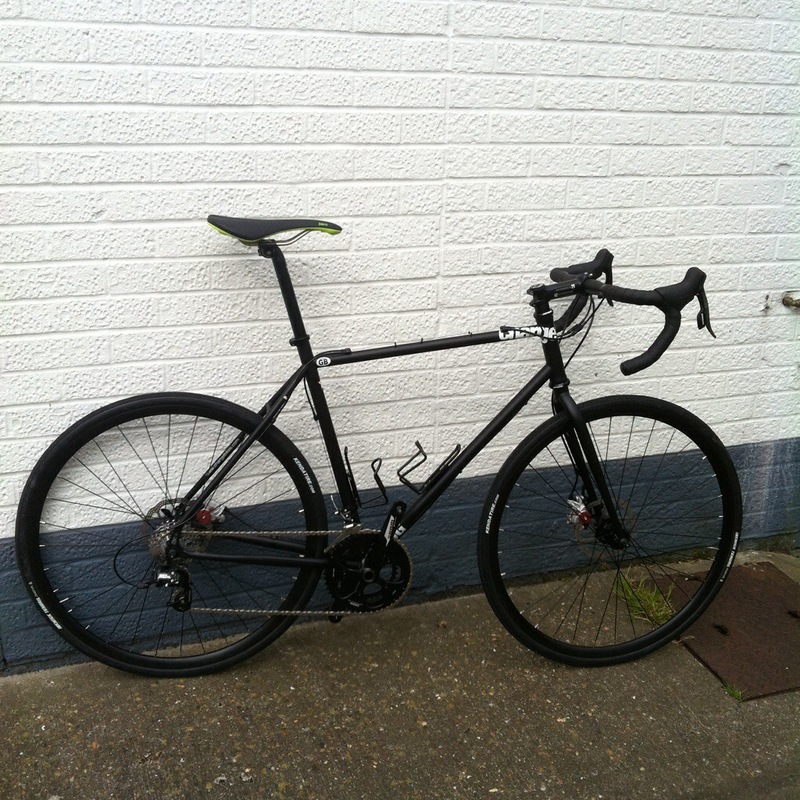 They have been kind enough to supply us with our long distance bikes we will be using for the Transcontinental Race. The bikes they had lined up for us were the fantastic Plug 5 that are their top of the pile ‘on road adventure’ bike. 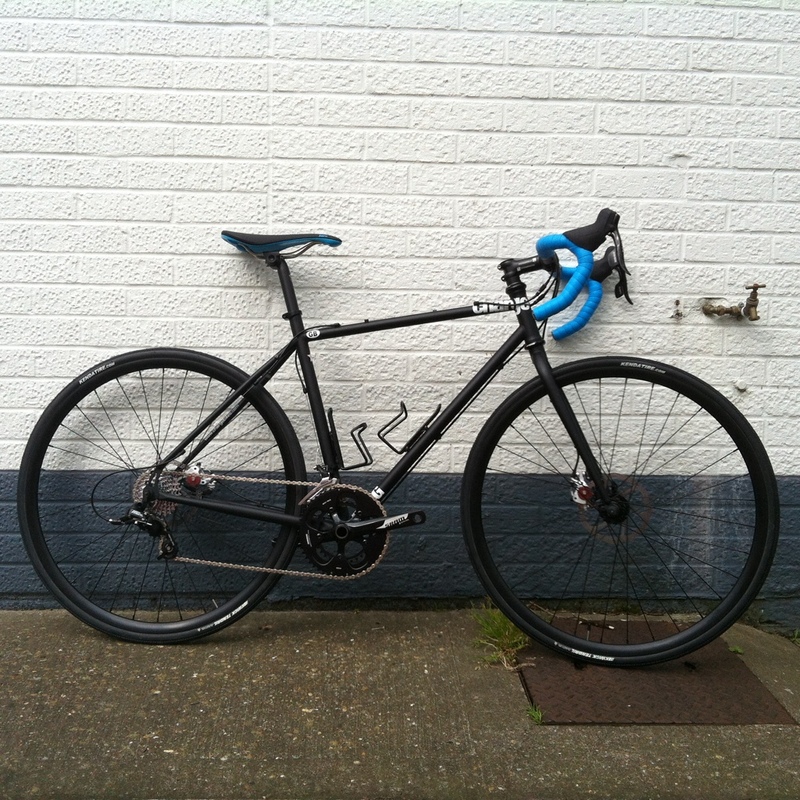 Lightweight but strong steel frames, compact gearing, super strong wheels and very importantly disc brakes! We thought that these would be important due to the extra carrying weight of our kit and the issues that can arise with the rims wearing down and failing and also their performance gains in the wet. The only additions that we made, were to switch the stock sram hydro brakes with some cable ones as if there were issues we could easily fix them ourselves, whereas those that use hydraulic brakes know, problems can seldom be ‘bodged’ at the side of the road or trail and require specialist kit that we simply won’t be carrying. The only other alteration that will be made, will be to put a 30t or 32t rear cassette on instead of the stock 28t. Dragging our sorry bodies up the stelvio pass to check point 2 will be hard enough on its own, without a weeks solid riding under our belts and touring kit. Every little helps to keep the cadence and speed up! 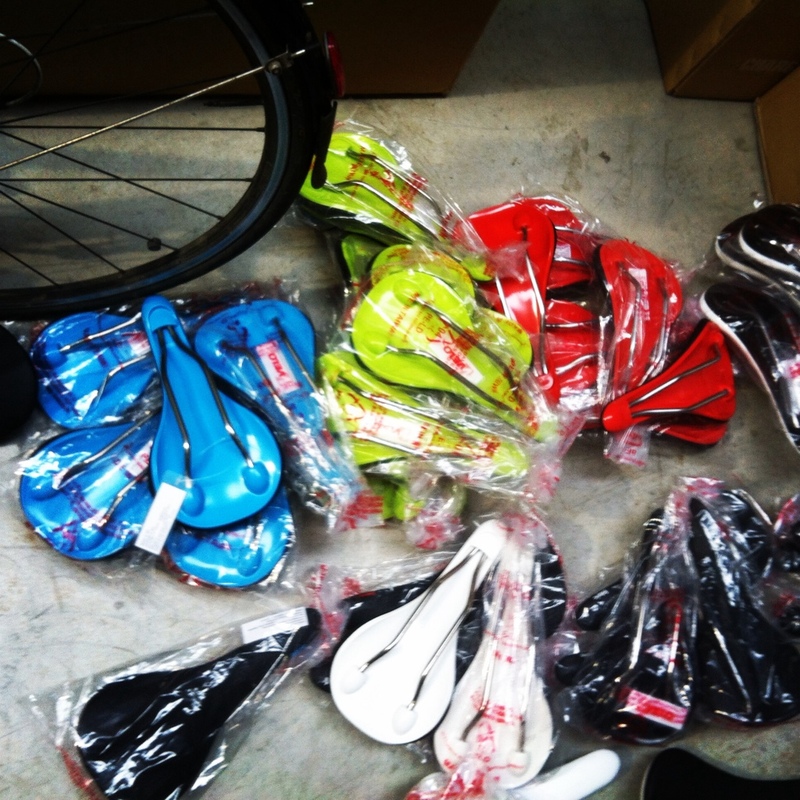 We were also offered a selection of their brand new line of saddles. Three in the range, all with a polycarbonate base offering support yet a small amount of flex and different fits to suit different shapes and riding styles. The hardest choice was which colour? We can’t wait to get riding some big days on them and will keep updated with a 100km and 1000km review as soon as they’re done! As well as Charge helping out enormously with the bikes, Oakley and Giro have supplied all our cycling kit. We couldn’t be happier working with these brands. The Giro shoes and clothing that arrived for us looked fantastic. They have really stepped up recently and made some fantastic garments. We received a massive mix of items from undershirts to shorts and jerseys. 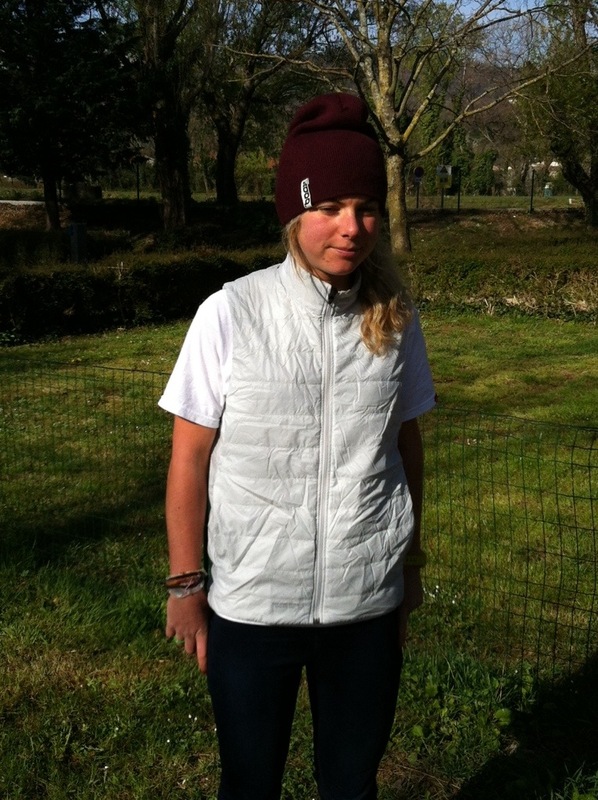 Gaby’s favorite item so far is her Primaloft Gilet. Super light weight, it packs up to be the size of an apple (great for stowing in a back pocket) and is warm abs windprood. She’s barely taken it off. The long sleeved windproof hoody has also been a favorite, providing warmth whilst pedaling but still looking great when off it. I’ve been using oakleys to ride with all my life so being supplied with all our eye wear from them was a dream. The colour orange has popped up a fair bit so we thought it might be an appropriate theme for some of our clothing since the bikes are totally stealth, a little tangerine burst might look great, as well as adding a safety aspect for riding at dawn and dusk. Without doubt my two favorite items. 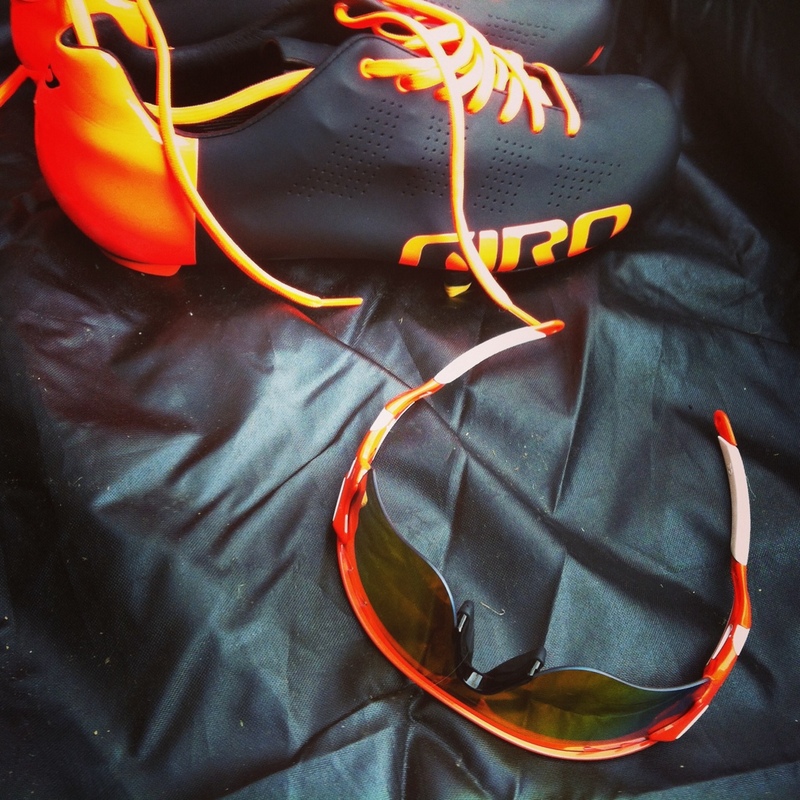 Giro Empire lace up shoes with Oakley Radar Locks with Polarized Fire Iridium Lens. I never used to be too fused about colour…all that has changed. The photos do not do justice to these two! The orange is a mix between fluro and the sun. Intense. The shoes are simply stunning, incredibly light and with the lace ups (a feature very rarely seen on road shoes, let alone performance ones) means that they fit like a glove. The sole also offers a massive amount of support as it’s made from Easton’s EC90 carbon, their top stuff. These will both be updated as regularly as possible. The Transcontinental Race that we have entered this summer is not only requiring a lot of training and extra riding (not a bad thing at all), but a lot of extra equipment that we didn’t previously have. We have done loads of research online which has brought about so much information and advice that we quite simply didn’t know where to go with it. So we decided to change our tactics slightly and ask people directly their experiences with kit on ultra distances races and if they would change anything they currently have, hopefully leading us to a ‘perfect set up’. We thought…hmm not quite how we want to do it. So a power supply was necessary to charge all our kit on the go. We looked at solar chargers of all shapes, sizes, dimensions and prices and realised there wasn’t any one outstanding item that would be suitable for our needs. This lead us onto dynamo Hubs. 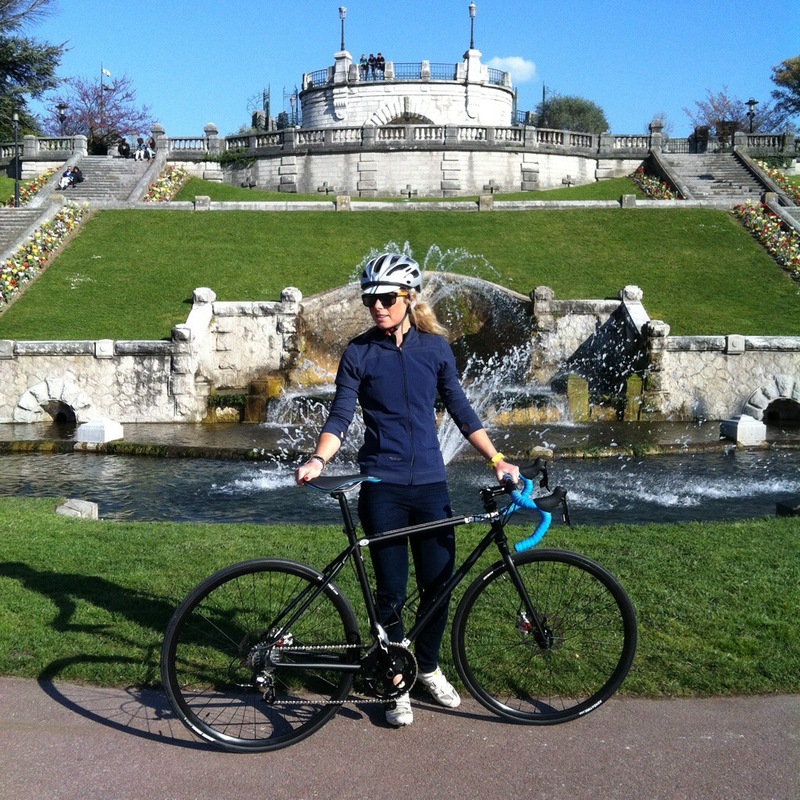 After much trawling the interweb we found there to be only 1 main supplier of hubs; SON Delux. These looked fantastic and suited our needs, but while we dawdled working out all the other bits we needed, Exposure Lights brought out their own take on the system. 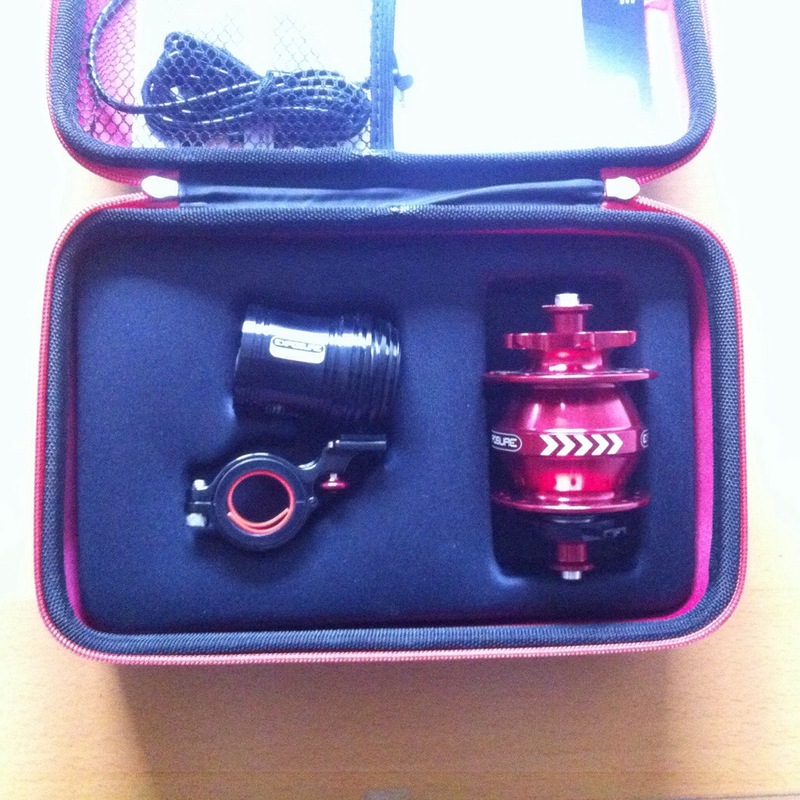 Having previously used their joystick and spark lights and been very pleased with every aspect of their performance and price we snapped up 2 sets of their revo dynamo hub sets. 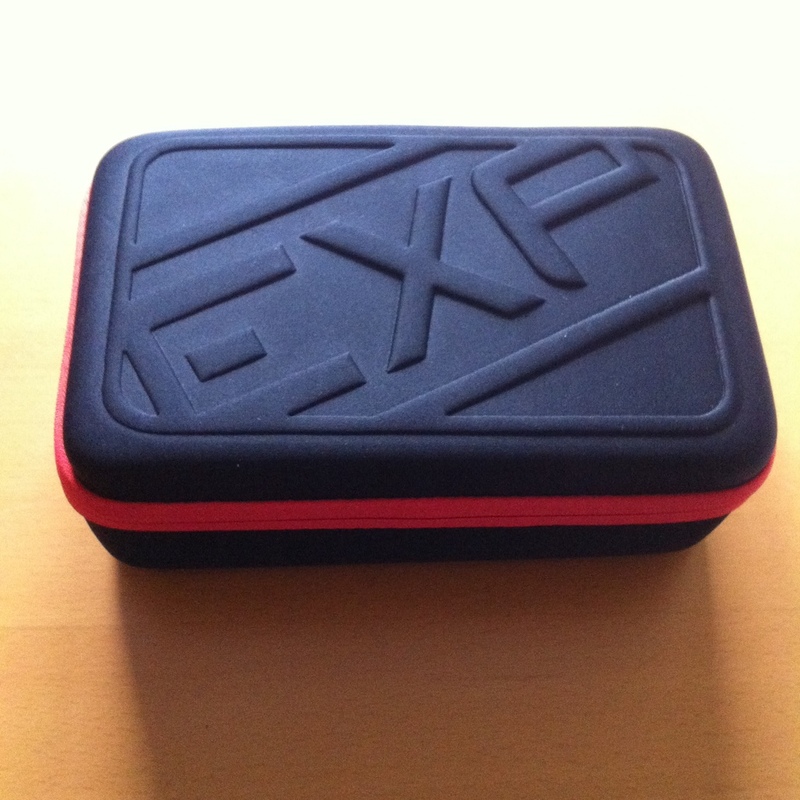 The first thing that always grabs my attention about a new product is the packaging, and from exposure the lights arrived in a great little carry case. I know the items will live on our bikes, but for me this is a great addition to keep the items safe and organized when not in use. 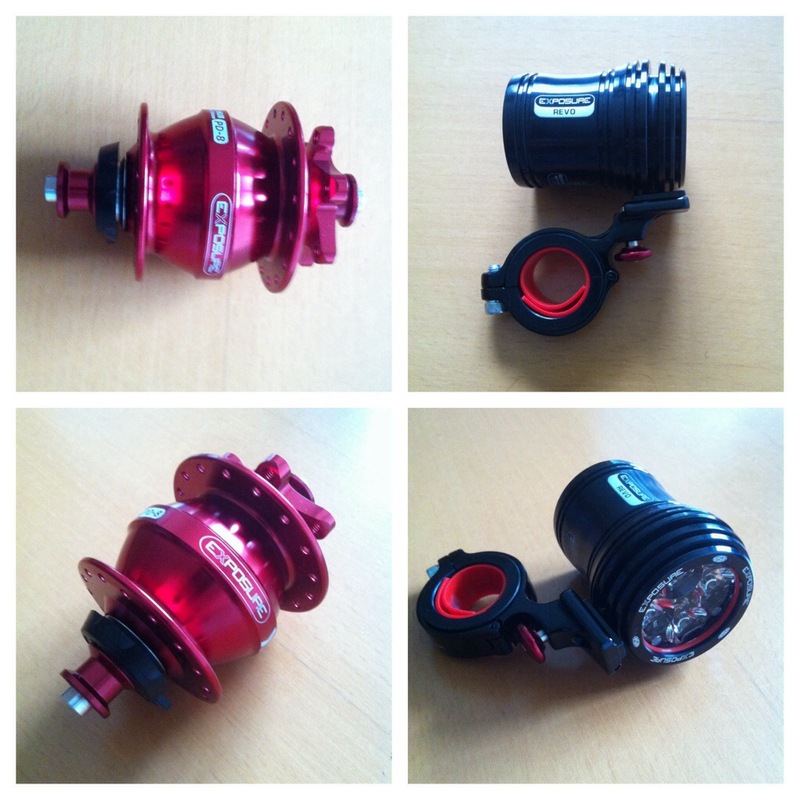 The Red anodized disc hub has the ability to power the front 800 lumen light as well as a rear red eye light at speeds over 8km per hour, for our needs this is perfect. As with all of their products, the lights are fantastically machined and installed using a quick release bracket meaning they can be removed on the fly and stored in bags when not in use. 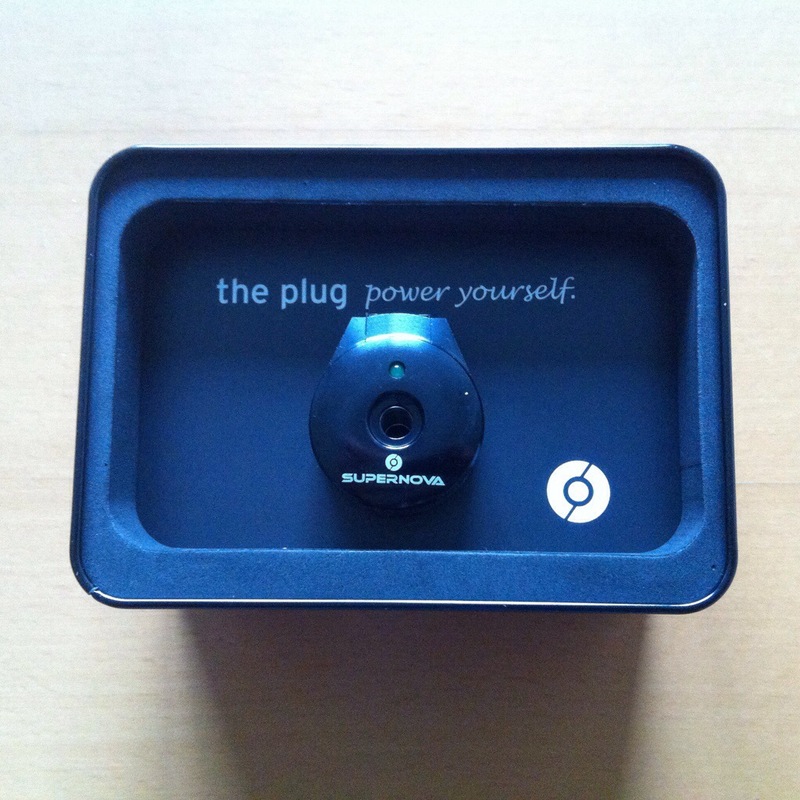 From the hub, we also have the ability to run a USB port for gps and IPhone charging on the go. This product has been around for a while and in my opinion opened up a whole world of ultra distance riding being totally self sufficient for navigation, lighting, photos and communication. 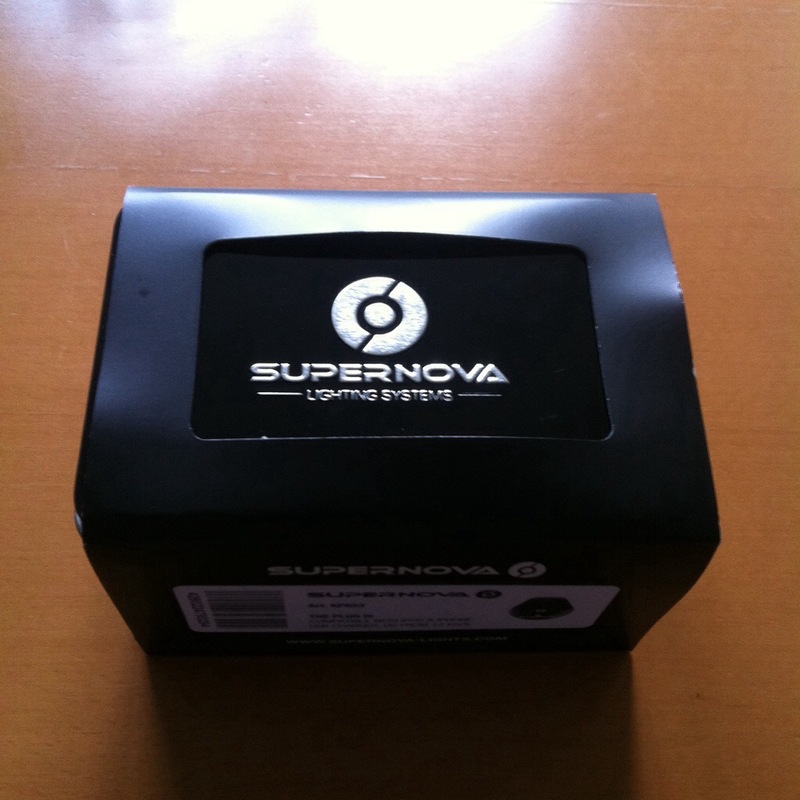 Companies really seem to be taking note for packaging and protection and the Plug 3 from Supernova arrived in a beautiful display tin. 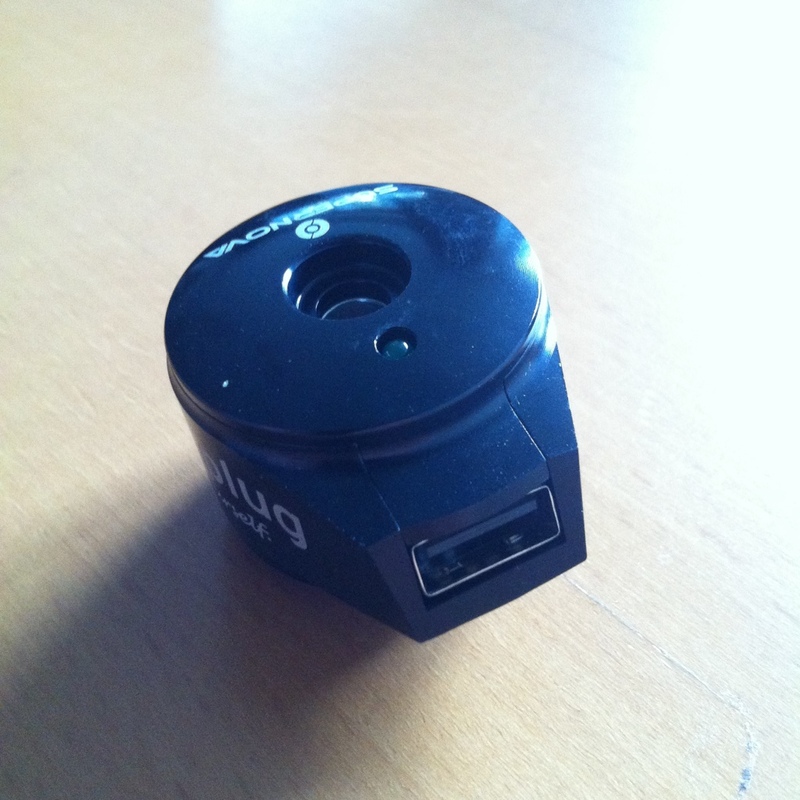 The unit replaces the original stem top cap and will sit above the stem, with wiring leading through the steerer tube. Neat, tidy and innovative! All the parts will be bolted onto our bikes ASAP and our dusk ’til dawn riding will commence as well as our tour around the island of Corsica which will take between 3-4 days.